The untold story of the Ya'mas, Israel's special forces undercover team that infiltrated Palestinian terrorist strongholds during the Second Intifada. It was the deadliest terror campaign ever mounted against a nation in modern times: the al-Aqsa, or Second, Intifada. 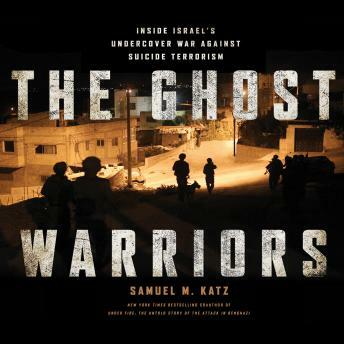 This is the untold story of how Israel fought back with an elite force of undercover operatives, drawn from the nation's diverse backgrounds and ethnicities-and united in their ability to walk among the enemy as no one else dared. Beginning in late 2000, as black smoke rose from burning tires and rioters threw rocks in the streets, Hamas, Islamic Jihad, and Arafat's Palestinian Authority embarked on a strategy of sending their terrorists to slip undetected into Israel's towns and cities to set the country ablaze, unleashing suicide attacks at bus stops, discos, pizzerias-wherever people gathered. But Israel fielded some of the most capable and cunning special operations forces in the world. The Ya'mas, Israel National Police Border Guard undercover counterterrorists special operations units, became Israel's eyes-on-target response. Launched on intelligence provided by the Shin Bet, indigenous Arabic-speaking Dovrim, or 'Speakers,' operating in the West Bank, Jerusalem, and Gaza infiltrated the treacherous confines where the terrorists lived hidden in plain sight, and set the stage for the intrepid tactical specialists who often found themselves under fire and outnumbered in their effort to apprehend those responsible for the carnage inside Israel. This is their compelling true story: a tale of daring and deception that could happen only in the powder keg of the modern Middle East.